Scorpions meticulous attention to detail and superior engineering skills put them at the very top in terms of construction quality and reliability. But the real difference is the way a Scorpion feels. No other exhaust feels like a Scorpion because no other exhaust is created with our passion and that's one thing which can never be copied. Scorpion's hand built systems not only give you real exclusivity, but added value too. We don't just charge what we feel the market will stand for a premium grade exhaust; when you upgrade to Scorpion you are paying for quality R&D, the finest hand selected materials, extensive testing and for the skill of an automotive engineer. You really are getting more bang for your buck. The Pumaspeed Workshop team are ready to fit the Scorpion Focus RS Mk2 Cat Back Exhaust (Non resonated) Louder in our Head Office located here. Therefore making parts and labour a total cost £636.00 (inc. VAT). 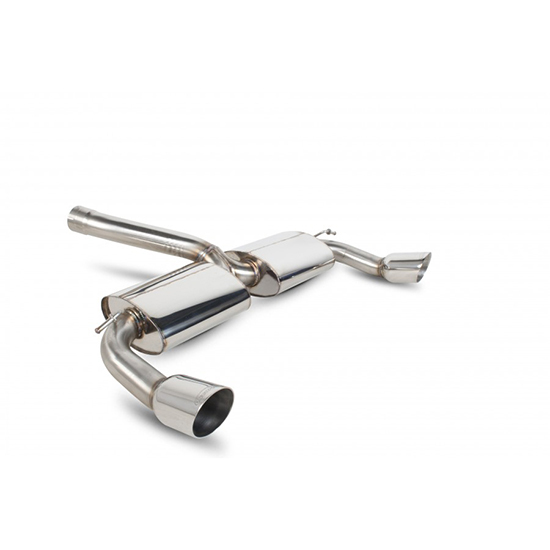 Pumaspeed have a specialist distribution team that can dispatch the Scorpion Focus RS Mk2 Cat Back Exhaust (Non resonated) Louder to any destination worldwide.